Start sipping on promotional success in no time – 24HR! 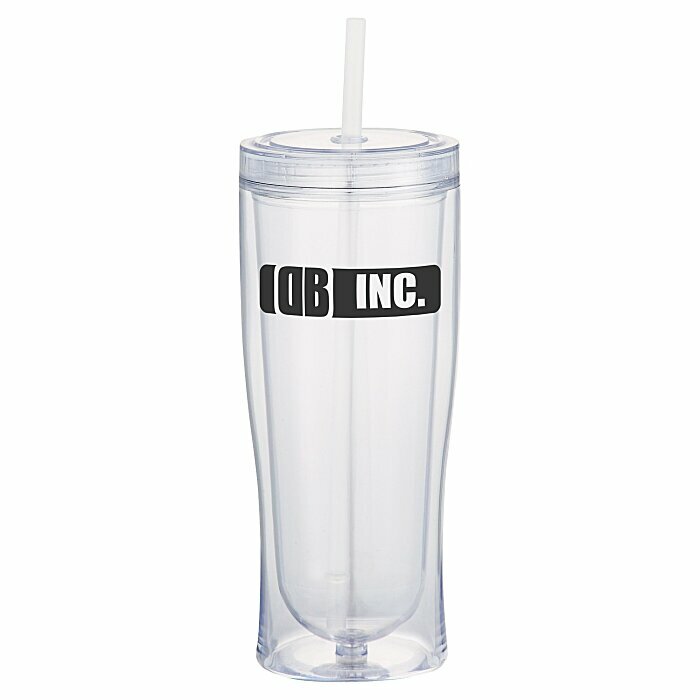 Drain this custom refillable cup—not your marketing budget. 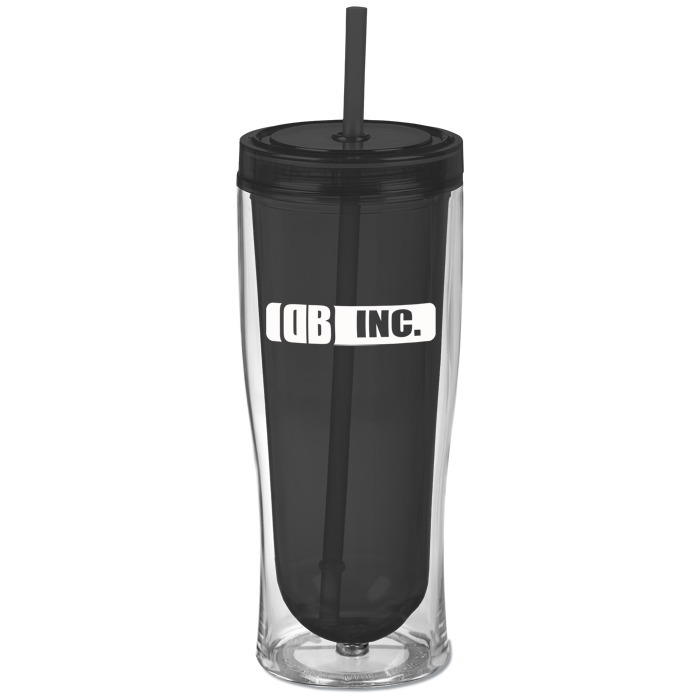 Sit back, relax and sip on your favorite refreshing drink inside this summery acrylic cup. Screw-on lid with removable straw makes this reusable tumbler deck-friendly—it helps keep out bugs and keeps spills to a minimum. 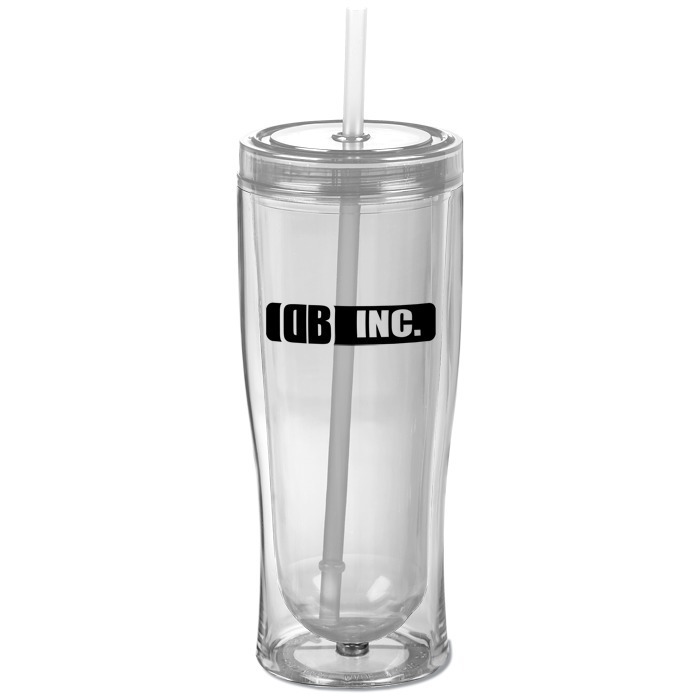 Dual-walled construction, with a clear outer and translucent inner wall, helps keep your drinks at temperature. The matching inner wall, lid and straw are available in one of your choice of several splashy colors.